This girl. 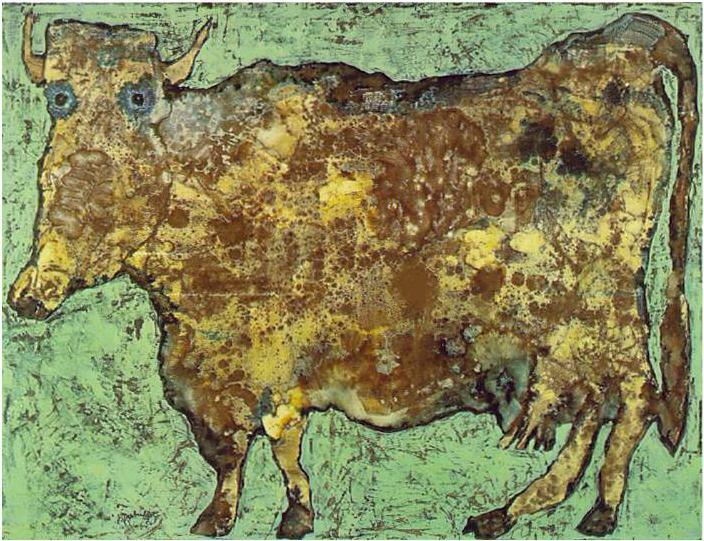 Jean Dubuffet’s “Cow With Subtile Nose.” She’s been close to my heart for many years now. There hasn’t been a time when I have looked into her round eyes and failed to find a reflection of my spiritual state of affairs. Perhaps one day, if I’m lucky, MOMA will take her out of storage and I’ll be able to actually see her in person. In cow.